Majestically handwoven in best quality wool, this beautiful rug can change the look of any room. Use of colors like gray and white gives a calm look and adds ultimate finesse to any space it is placed in. - This magnificent handmade monochrome rug is made in 100% finest quality of New Zealand wool. - This is a traditional design in Beautiful floral pattern. It has taken approximately five months to weave. - This carpet is woven by experienced weavers so as to assure in this rug a perfect finish appearance. - The main color is gray. It is suited for living room with bright color furniture. 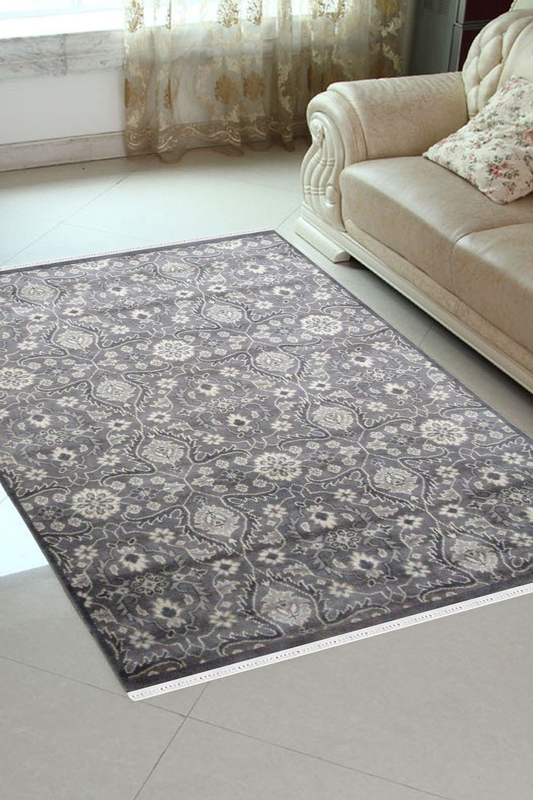 - This is highly durable handmade area rug.